Whether it is Android or iOS, you may have always aspired to own the best-of-breed smartphone in the market. However, did budget limitations make you settle for something less? Here’s your chance to redeem yourself. We have curated nine premium smartphone deals that you can grab, right now, on Flipkart. And if you want to make these offers even more sweeter, read ahead and discover the additional benefits of using exchange, bank offers and alternative finance options available via Flipkart. Here’s our list of top smartphone deals, along with a quick feature check of the most popular phones on the roster. Topping our list of premium smartphone deals is the newly launched iPhone. A meaningful upgrade from Apple’s previous models, the iPhone 7 and iPhone 7 Plus are today the best iOS devices that money can buy. Under the hood, the two models are powered by the latest quad-core Apple A10 Fusion processor. The iPhone 7 comes with a single 12MP rear camera, while the larger iPhone 7 Plus comes with dual 12MP rear cameras. Both phones feature a 7MP FaceTime camera for selfies and video chats. Water-resistant with an IPX67 rating means that the hardware of these premium devices can withstand immersion in water up to a depth of one meter. If a long-life battery tops your list of phone needs, the 7 and 7 Plus are a good choice in this segment. Apple claims that the iPhone 7 lasts two hours longer than an iPhone 6s, while the bigger iPhone 7 Plus can offer at least an hour more of battery life compared to 6s Plus. 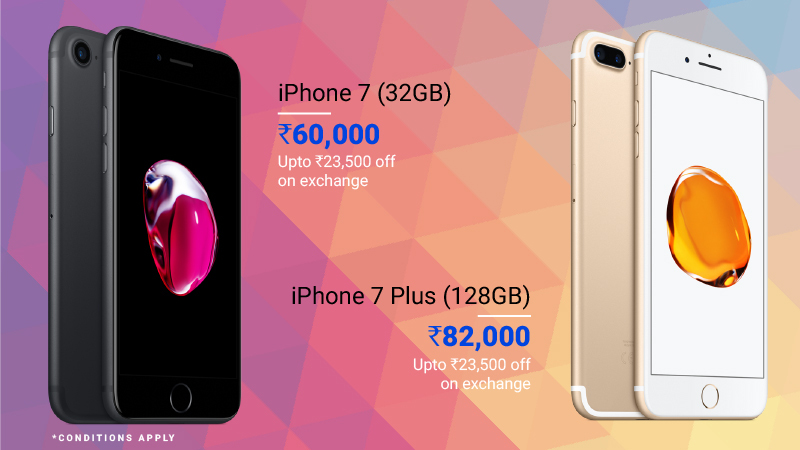 The Apple iPhone 7 (Black, 32 GB) and Apple iPhone 7 Plus (Jet Black, 128 GB) are available on Flipkart at a listed price of INR 60,000 and INR 82,000 respectively. To top this, customers can get a maximum exchange of up to INR 23,500 on their old phone. Want to shave a little more off the price tag? Opt for Axis Bank Buzz cards, which give you 5% extra discount. A close second in our premium smartphone deals list in the predecessor of the Apple iPhone 7, the iPhone 6 and 6s. 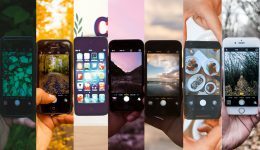 If you’ve used an Apple phone before, you’ll agree that an iPhone’s camera, overall functionality, graphics speed and software-hardware integration remain hard to beat. In other words, the older iPhone 6 and iPhone 6s are still fabulous phones to own. The iPhone 6 features a 4.7-inch IPS display that is vivid and rich. Apple claims that the A8 64-bit dual-core processor of the iPhone 6 can deliver a 50 percent boost in graphics and a 25 percent boost in speed as compared to the earlier iPhone 5S. It also comes equipped with an improved auto-focus in its 8MP rear iSight camera. Looking to buy an iPhone with outstanding battery life? Then opt for the 5.5-inch iPhone 6 Plus, which makes through a full day of heavy use and can even last well into a second day before needing a charge. On Flipkart the iPhone 6 (Space Grey, 16GB) is priced at INR 33,990. 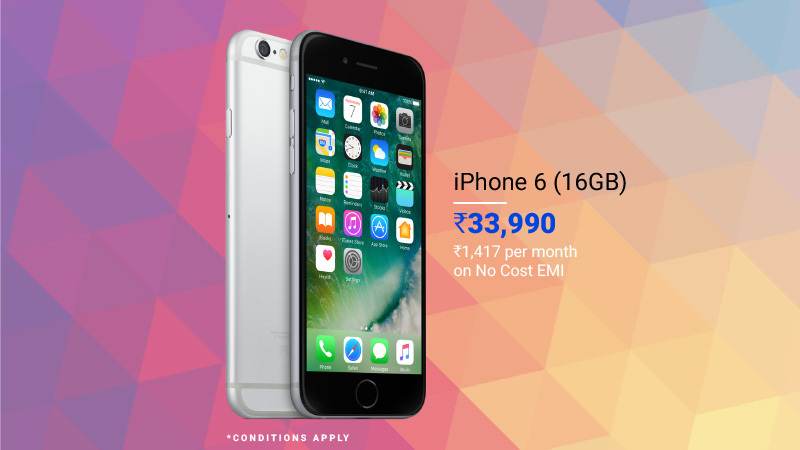 There is also a minimum exchange offer of INR 3000 (iPhone 6) and maximum of INR 22,000. If you choose to take the No Cost EMI route and opt for the extended 24 months term, then you can own this iPhone for as low as 1292/month (after product exchange). Without product exchange you can still get a great deal of just INR 1,417 per month on No Cost EMI. You cannot miss this top-of-the-line android device in the Flipkart premium smartphone deals list. Built by Google inside and out, Google Pixel and Pixel XL are among the most powerful Android smartphones available today. These #MadeByGoogle phones are the first to use the latest Qualcomm Snapdragon 821 processor, and come with 4GB RAM, an AMOLED screen with Gorilla Glass 4, and 32GB/64GB and 128GB storage options. But what sets them apart is the software, especially the overall Android user experience. Both the Google Pixel and Pixel XL run on the purest form of Android, without any bloatware. What’s more, the phones also offer unlimited online storage for media at full quality, including full-res photos and 4K videos. And if you max out the local storage space, then your Google Pixel or Pixel XL will transfer your old media to the cloud automatically. You can buy the Google Pixel for INR 57,000, while the Google Pixel XL is available for INR 67,000 on Flipkart. 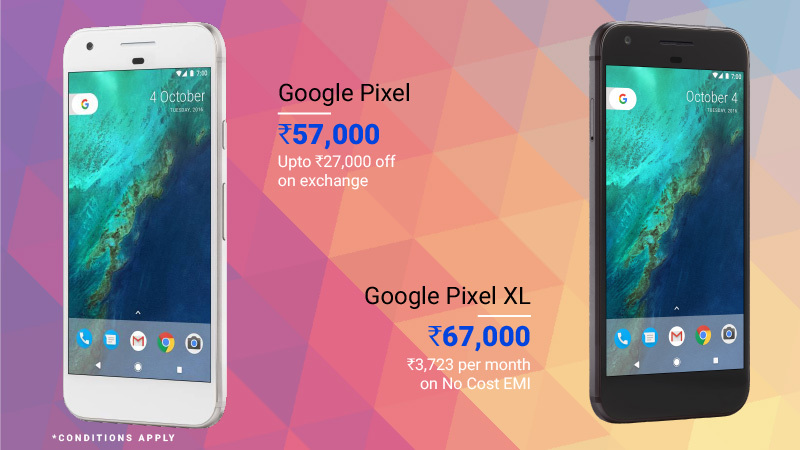 There is a maximum exchange offer of up to INR 27,000 on Pixel, which is an extra INR 3,500 off over regular exchange value for your old phones. HDFC Card holders can get Flat INR 7,000 off. You can also choose the No Cost EMI offer, which means you can buy your Pixel for an EMI of just around INR 3,167 per month and Pixel XL for INR 3,723 per month (18 months term). Now that’s what we call wallet-friendly! For those who are looking for more than just a phone, here’s what you must pay attention to in our premium smartphone deals, top 10 list. From the time they came into the market, Motorola’s Moto Z and Moto Z Play modular smartphones have been making waves with their magnetic snap-on accessories. Called Moto Mods, these accessories add more to the phones in the form of a powerful stereo speaker, an outstanding battery pack, an advanced zoom camera or a brilliant projector. Simply attach your favorite Moto Mod onto the two rows of magnetic bumps of your Moto Z or Moto Z Play to transform these devices. The two smartphones sport an all-metal design and enough power to make the competition sweat. Looking for a phone from Motorola’s Z series that offers you all the goodies at a lesser price? A good bet is the cheaper Moto Z Play, which features a super-long battery life and retains the quirky Moto Mod feature. You can buy the Moto Z with Style Mod (Black, 64 GB) on Flipkart for INR 39,999 while the Moto Z Play with Style Mod (Black, 32 GB) is priced at INR 24,999. For those who plan to exchange, there is a maximum exchange offer of up to INR 23,500 on Flipkart. 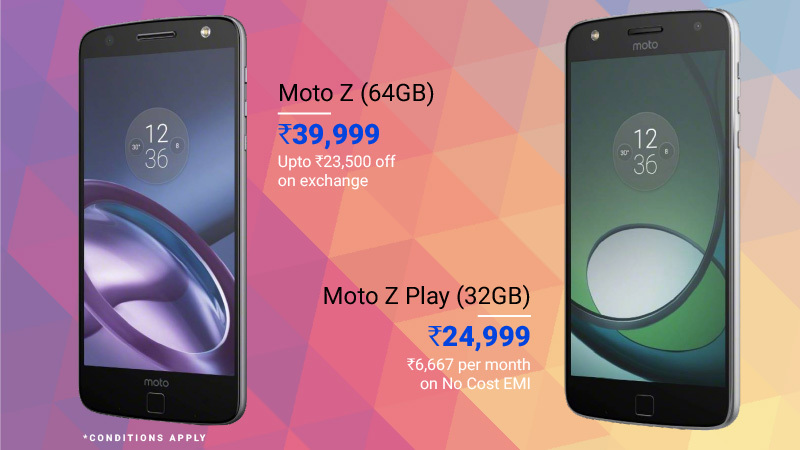 You can also opt for the No Cost EMI option, that will get you the Moto Z Play for just INR 4167 per month and the Moto Z at INR 6,667 (if you opt for 6 months). Note that the EMI value per month will reduce if a customer opts for exchange. Another addition to the premium smartphone deals list of flagship phones is this modular device from tech giant, LG. A modular smartphone with a metal body, the LG G5 lets you swap out some parts with add-ons such as a battery grip with physical camera controls and a Hi-Fi audio module. What makes the LG G5 a winner are its two rear cameras. The phone comes equipped with a 16MP rear camera with a standard 78-degree wide lens and an 8-megapixel camera with a wide-angle, 135-degree lens. The wider lens means you can capture more within a frame. The Snapdragon 820 processor and 4GB RAM makes everything from emails to gaming super-fast. The 5.3-inch QHD display is great for a movie binge or a gaming session. 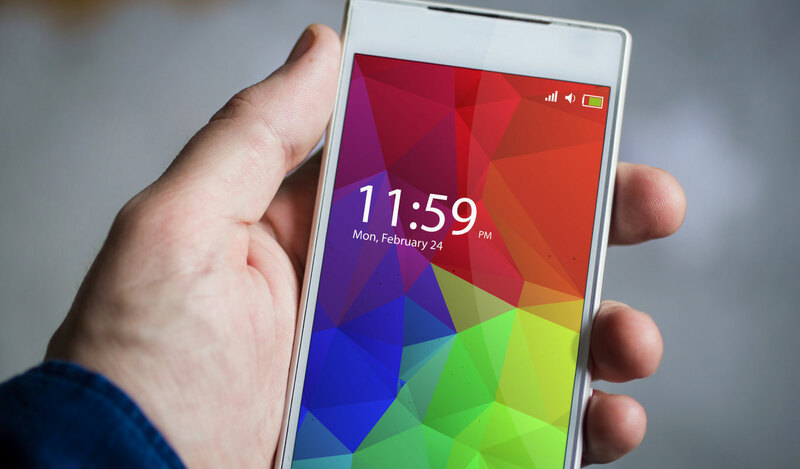 Despite the powerful display, the 2800mAh battery can last for nearly a day. 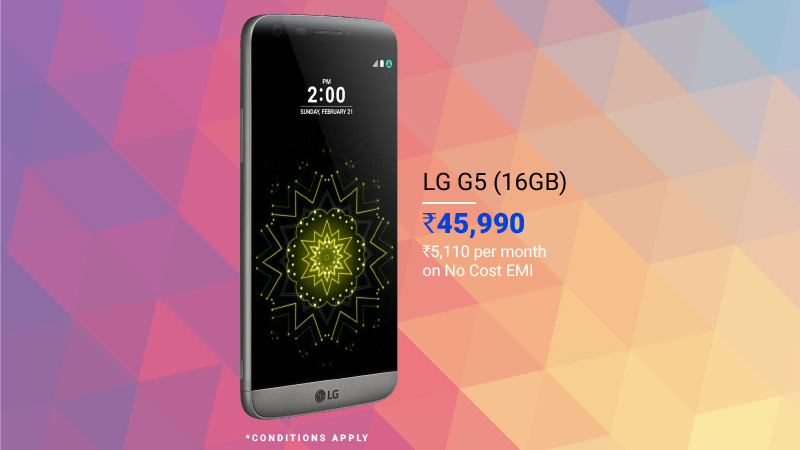 The LG G5 is available on Flipkart at INR 45,990 with exchange discount of up to INR 23,500. Customers opting for EMI option can get their hands on the flagship phone for INR 5110 per month payable over 9 months. The LG G5 is currently available with a flat discount of INR 7,000. All metal and glass, the Asus ZenFone 3 and Zenfone 3 Laser pack a premium design into top-notch hardware. Though both phones come with 4GB RAM under the hood, the Asus ZenFone 3 is powered by an octa-core Qualcomm Snapdragon 625 processor, while the ZenFone 3 Laser is backed by an octa-core Qualcomm Snapdragon 430 processor. Their 5.5-inch displays can easily fit in your hand, and feature a blue light filter that is said to protect your eyes from glare. On the camera front, the 16MP rear lens in the Asus Zenfone 3 and the 13MP rear camera in the Asus Zenfone 3 Laser do a good job, even under low light conditions. Both phones run on Android 6.0 Marshmallow and are powered by a reliable 3000 mAh non-removable battery. Now you know why these devices belong in the top 10 premium smartphone deals list. The Asus Zenfone 3 (Black, 32 GB) and Asus Zenfone 3 Laser (Silver, 32 GB) are available on Flipkart at a listed price of INR 21,999 and INR 18,999 respectively. There is also a maximum exchange offer of up to INR 18,300 and INR 16,900. Want more? 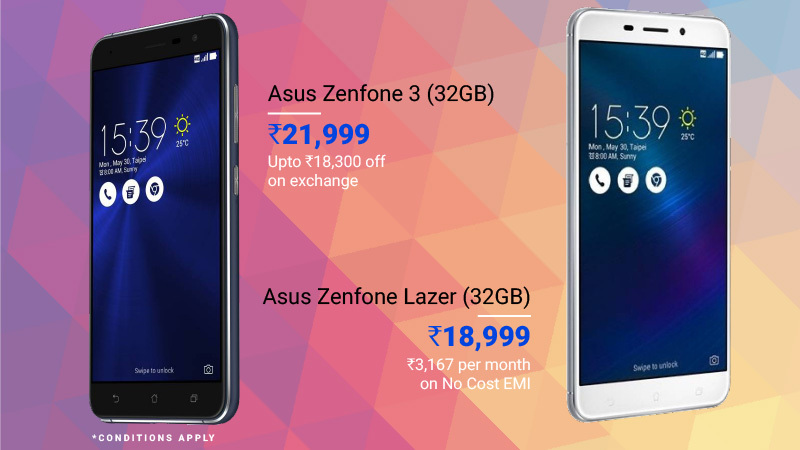 Opt for the No Cost EMI offer and you can bring your Asus Zenfone 3 home for just around INR 3,667/month or Asus Zenfone 3 Laser for just INR 3,167/month, payable over a period of 6 months. If you’re looking to buy a well-crafted phone with good performance across the board, then the Honor 8 is a great option. It features a metal frame that is easy to grip, sandwiched between two sheets of beautifully curved glass. The octa-core Kirin 950 processor and 4GB RAM ensures a snappy performance with little in the way of lag, right from gaming to photo editing. There’s a twin 12MP camera setup combining full color and monochrome sensors for boosting the amount of light information captured, thereby making for better low-light performance. The non-removable 3000mAh battery comes with support for fast charging. The Honor 8 (Blue, 32 GB) smartphone is priced at INR 29,999 on Flipkart with an exchange discount of up to INR 23,500. You can place your order for the Honor 8 using the No Cost EMI option offering EMIs as low as INR 2,500 for a period of 12 months. What got the Huawei P9 into our premium smartphone deals list is exactly what sets it apart from the rest. The smartphone doubles as a powerful camera in your pocket! The P9 features dual lens rear-facing cameras manufactured in collaboration with the German optics brand, Leica. Each lens comes with a 12MP sensor, which lends it a better depth perception—thereby giving it a wider focal range—and helps you capture the details even in low light. The P9 delivers plenty of power too. It features an eight-core processor and offers 3GB RAM, which means it can handle nearly every app without starting to lag or slow down. The 3,000mAh battery can easily last for a day with moderate use. The Huawei P9 with 32GB storage is available on Flipkart at INR 39,999. 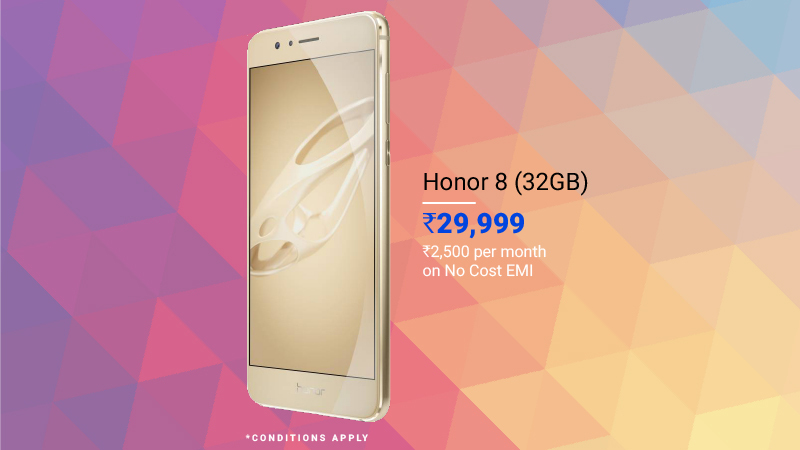 The premium smartphone has a maximum exchange offer of up to INR 23,500. 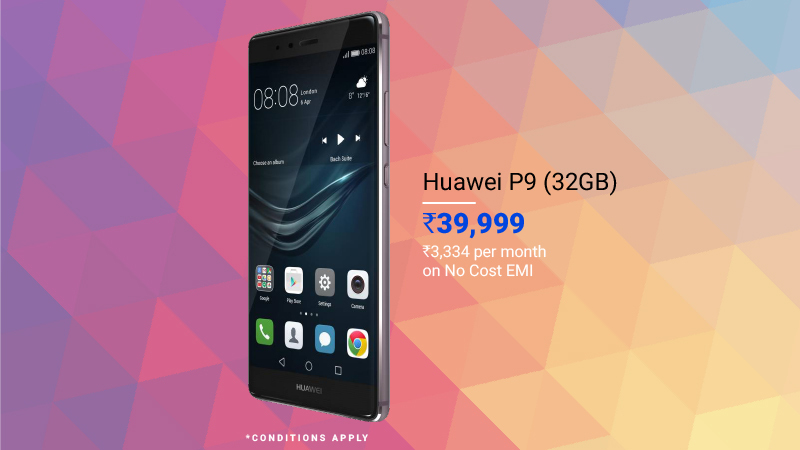 Those opting for the No Cost EMI option can purchase the Huawei P9 at an EMI of just ₹3,334/month for a term of 12 month period. The last and one of the hottest devices to get into our premium smartphone deals chart are these flagship phones from Samsung. More than worthy of being your smart companion, the Galaxy S7 and S7 Edge are among the fastest phones available today. Both models boast of Samsung’s Exynos octa-core processors and 4GB RAM ensuring a super speedy performance. While the Galaxy S7 Edge features a bigger screen and stylish edges, the S7 has a more delicate frame. 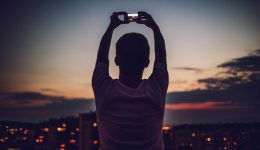 The cameras in both phones feature 12MP primary sensors, complete with optical image stabilization, improved auto-focus speed and better performance in low light conditions. There’s 32GB on-board storage with an option to expand up to 200GB via microSD cards. The major difference between both phones is their battery capacity. The S7 comes equipped with a 3,000mAh pack, while the Galaxy S7 Edge features a powerful 3,600mAh battery. On Flipkart the Samsung Galaxy S7 (Silver Titanium, 32 GB) and S7 Edge (Black Onyx, 32 GB) are priced at INR 43,400 and INR 50,900 respectively. 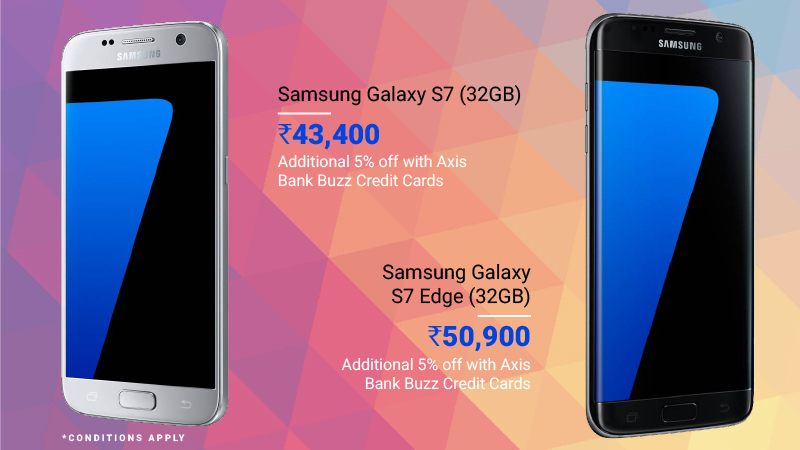 You can get an additional 5 per cent off with Axis Bank Buzz credit cards, which means a discount of INR 2,170 (Samsung Galaxy S7) and INR 2,545 (Samsung Galaxy S7 Edge). 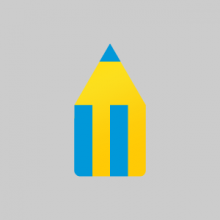 Check out all the top deals on Flipkart right here.